When it comes to typography, we’re totally devoted. All of it – from modern to rustic to Art Deco, and from the most elaborate to the most simple of styles. But what really captures our hearts is vintage typography. The old poster-style layout and the mix of lettering and design elements will always make us swoon. 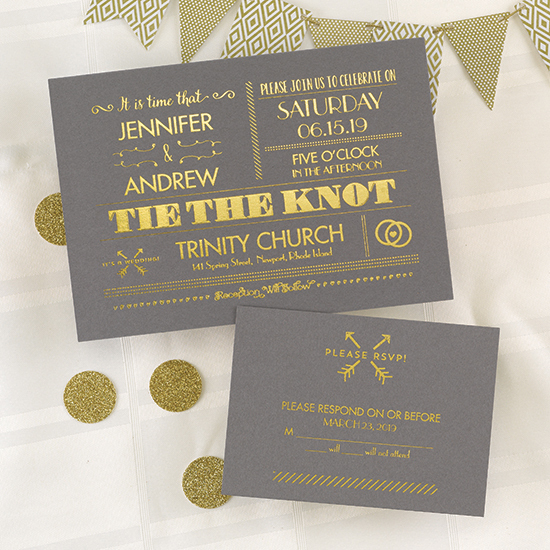 This is the exact style you’ll see on our Vintage Typography Invitation. 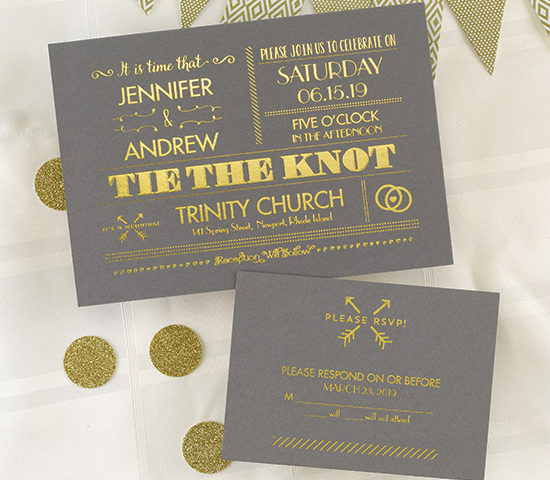 All the sentimental touches are there in the vintage swirls and dots and ampersand, and the big and bold “Tie the Knot” design is the perfect romantic touch.